Both Consumers Energy and Detroit Edison (DTE) have announced new electricity rate hikes. on September 2, 2016, Consumers raised its rates 4.2% (https://mitechnews.com/update/consumers-energy-customer-rates-see-4-2-percent-increase/), which is only .3% less than its previous year increase of 4.5%. DTE has quickly followed suit. On January 31st of this year it announced a 4% rate increase (http://www.freep.com/story/money/business/2017/01/31/dte-energy-electric-rates-increase/97301340/). These incremental annual increases often go unnoticed, but if consumers will just take their utility bills from 1 or 2 years and ago and compare them with today’s bills, the increases become very evident. As the State of Michigan continues to see more coal plant closures one can only expect that these rates will climb even higher. In contrast, the price of electricity from a solar panel system is locked in for the life of the system, which is 25 years and beyond! 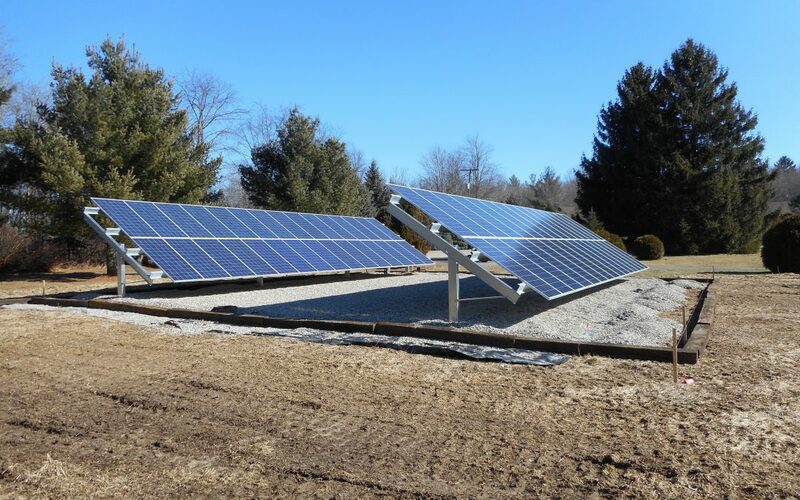 For example, the system pictured is a recent solar installation in the greater Grand Rapids area, it will produce about 24,000 kWh annually, saving its owner around $4,000 per year and locking in his electricity rate at 9 cents a kWh. Presently, the residential rate for Consumers is around 16 cents a kWh, and for DTE it is about 15 cents. Solar can produce incredible savings to the average homeowner.